Writing letters has become Beyonce's thing. She has written letters to everyone including Michelle Obama to her own mother. 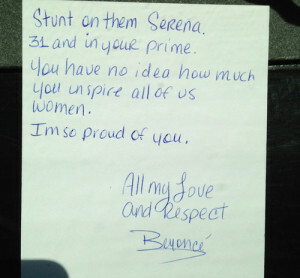 This time Mrs Carter has a penned letter to Serena Williams following her French Open win. 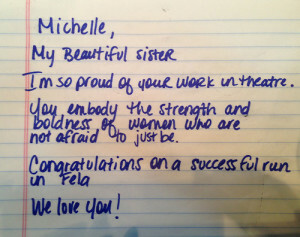 Beyoncé also penned a letter to her former Destiny Child bandmate Michelle Williams who has just wrapped up from theatre production Fela, a musical about the life of Nigerian musician Fela Kuti.